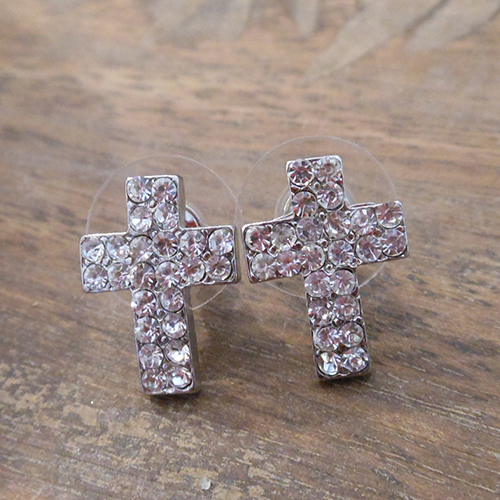 The pretty cross stud earrings make a wonderful gift! 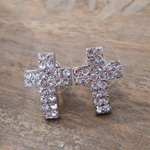 They are all silver and covered in clear rhinestones, so they really sparkle! They measure 3/4 of an inch long, and they are made with nickel free stainless steel.